Unattractive isn’t typically a word you want associated with your home, but when pests are the ones eyeing your castle, it isn’t so bad to be seen as unattractive in their eyes. An unattractive home for pests has nothing to do with your decorating or style though. Instead, it has to do with basic things you can do to make pests not want to stick around or even visit your home to begin with. It’s time to take stock of how well your home is fortified against creepy, crawly insects and rodents. Keep these annoying pests away with these tips. Pests see food a little differently than we do. A small crumb might make an excellent feast for an ant or two. A spill you forgot to clean up might be just the treat a flying insect is looking for, and the crumbs that were ground into the carpet when your toddler walked around your living room with a handful of crackers are a smorgasbord for mice and insects. To discourage pests from foraging in your home, keep your counters wiped down, your floors clean, and your trash cans cleared out. Fix leaking pipes and drains that might be seen as a wonderful water source to a small army of bugs (or a rat or two). Don’t leave pet food outside, and clean up after your outside barbecue. We don’t mean that locking the doors will keep pests away. You have to think small. If you were tiny, and the weather was getting a bit colder, you’d do anything to get inside a huge, warm house. Excellent entry points for tiny creatures consist of holes in screens, gaps in door frames, holes where utility wiring enters your home, firewood, and outside toys you occasionally bring indoors. Seal up those entry points, and inspect anything coming into your home. Vacuum and clean your house regularly. Clean out your trash cans, and don’t leave trash outside if you deal with rats or raccoons in your area. Did you know some pests can smell rotting food in your pantry? Stay on top of your food inventory to keep pests away. 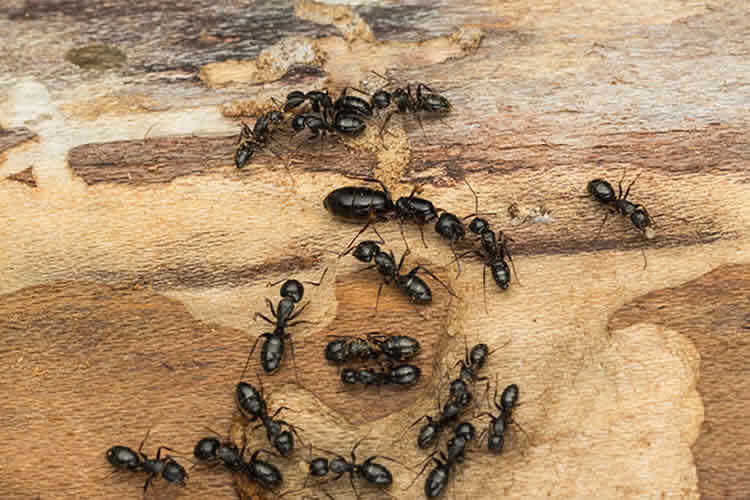 When you’re able to keep more pests off your property, you reduce the number of pests lining up to enter your home. It’s going to take a bit of labor, but you need to stay on top of yard work. Trim branches and bushes that are near the house, rake mulch away from your house’s foundation, and clean gutters regularly. Keep your BBQ clean and covered so rodents can’t make it their home. Clear your yard of any debris, and stack firewood far from your home. Make sure drainage is happening properly around your foundation. Keep your gutters working properly, and direct water away from your home. Seal foundation cracks to keep termites out, and enclose open areas under porches with mesh screening. These helpful tips can prevent many pests from entering your home, but it’s still possible for pest infestations to occur – even to the most careful of people. Before that happens, hire a local pest control company, such as Barefoot Mosquito & Pest Control to help protect and rid your home of all unwanted pests. Contact us today or request a pest control quote online!